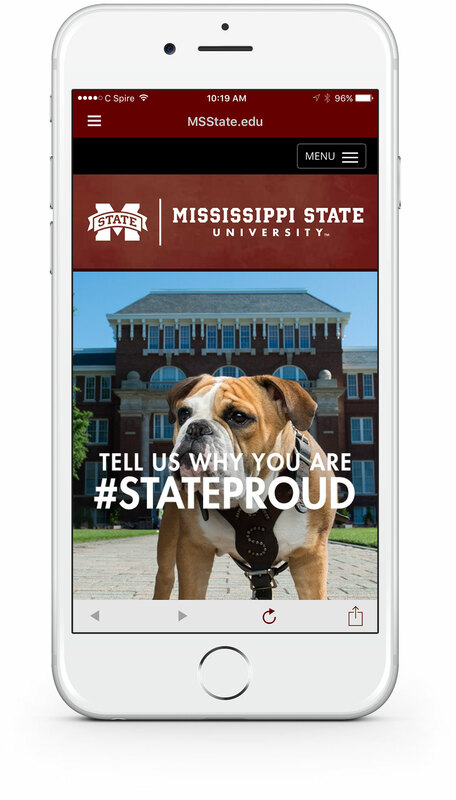 Mississippi State University’s app, myState Mobile, keeps you connected to the Bulldog family wherever you are. Learn about upcoming events, find your way around campus, and keep up with the latest in news and sports. Check your grades and schedule, and register for classes from your smartphone or tablet. 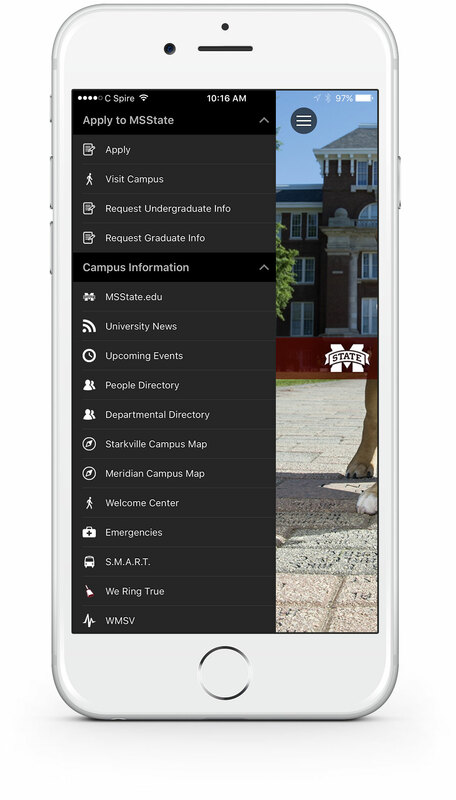 myState Mobile provides information and resources that will help you Ring True at MSU. Apply, visit campus, request information. Stay informed on the latest news from Mississippi State. Find contact information for faculty, staff, and students. Find location and contact information for departments and offices. Access bus routes and schedules and track the real-time location. View scheduled courses in daily or term view. View holds on your student account. View account balance and make a payment. Purchase a permit, view citations and appeal citations. View myCourses assignments, events and announcements. 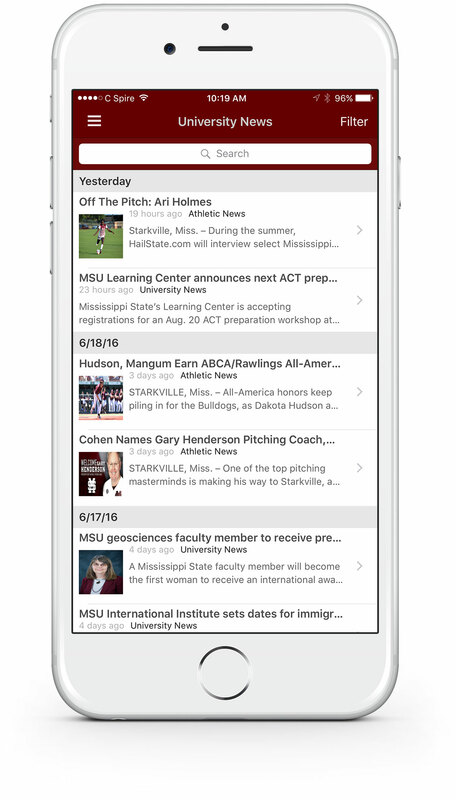 Check the latest news and schedules for all Mississippi State sports. 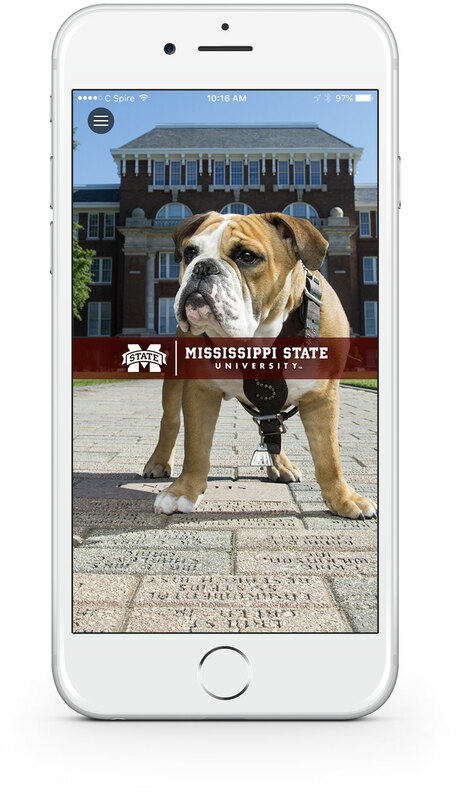 Link to Mississippi State’s social media outlets.